In my last article, I asked what would constitute a successful season for the Detroit Red Wings, winning or a high draft pick? It’s a fair question. What matters most to the franchise and its fanbase? Winning helps build a culture for the Red Wings’ young players but takes the team out of the running for an impact player at the draft. Losing can have negative organizational consequences but also increases the likelihood of selecting a difference-maker at the 2019 NHL Draft. We can also view this season in terms of progress, independent of the team’s record or final place in the standings. And progress for the Red Wings is best achieved through the “KISS” methodology. No, not the face paint and Detroit Rock City variety, but instead keep it simple, stupid. Reaching five simplistic goals can go a long way for the Red Wings. Head coach Jeff Blashill has implemented a “60 Minutes of Hell” philosophy to guide the young Red Wings this season. Far too often over the past couple years, the team just hasn’t competed for a full game and lost potential points as a result. We have to be harder to play against on a nightly basis. We have to make sure we’re not a tweener team – kind of skilled but not winning the skill game and kind of hard but not really hard enough. We have to be miserable to play against every night. At the end of the season, the organization should ask if they consistently gave ’em hell for 60 minutes each night? If so, then the Red Wings succeeded with regard to this goal. All teams want to do this, but, as I mentioned above, the Red Wings have struggled with consistency under Blashill. 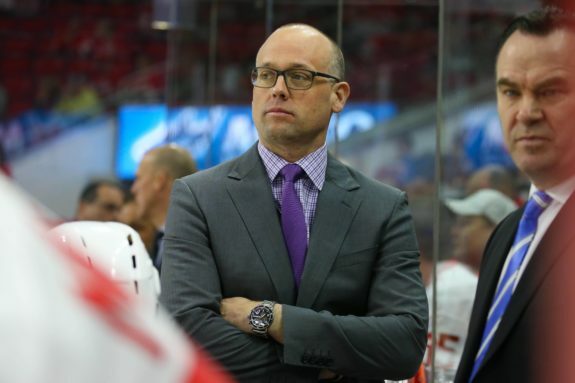 By hiring Dan Bylsma, Blashill brought in an intelligent hockey mind to run the offense and power play. The additions of Filip Zadina, Filip Hronek, Thomas Vanek, and Michael Rasmussen should help too. Detroit’s power play finished 24th in the league last year, converting at a 17.5 percent rate. Their penalty kill wasn’t much better, ranking 23rd with a 77.5 percent kill rate. For this parameter, the goal for the Red Wings should be to finish in the top half of the league in both power play and penalty kill percentage. It’s a lofty goal, but achievable. Over the summer, Blashill mentioned that his mantra moving forward is to favor young players and prospects. Previously, when there was a tie between a veteran and young player, the vet was chosen. That will no longer be the case given Detroit’s present stage in the rebuild and their growing prospect pipeline. While this strategy can be scrutinized down to a molecular level—who plays, who sits, overall ice time, and special teams play on a nightly basis—we really should wait until the end of the season before offering up judgement. This goal would only be achieved if Blashill stayed true to his word and deployed younger players often and surprisingly sat some veterans here and there. This would be a step in a new direction for the Red Wings. Last year, it was apparent that Dylan Larkin found another level to his game. The same can be said about Anthony Mantha and Tyler Bertuzzi. This season, those players—plus Hronek, Rasmussen, Zadina, Andreas Athanasiou, Evgeny Svechnikov—will need to take another step forward. For some, it can be a small step, like Larkin becoming more of a leader and a consistent offensive threat. For others, the goal would be to establish themselves as everyday NHLers. If consistency and growth can be achieved by Detroit’s young core, then the organization would be in much better shape heading into the 2019-20 season. The key here is to step forward not back, as they did during the 2016-17 season among many of Detroit’s top players. Now, this seems like common sense, but remember when Larkin, Danny DeKeyser, Petr Mrazek, and Tomas Tatar faltered during the 2016-17 season? And when Athanasiou couldn’t lock down a significant role during the past two years? All teams want their core players to succeed – whether or not that actually happens is another story. 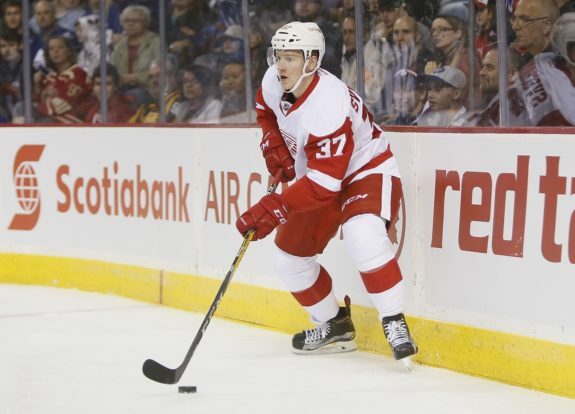 Off the ice, the Red Wings need to stick to their rebuilding plan. 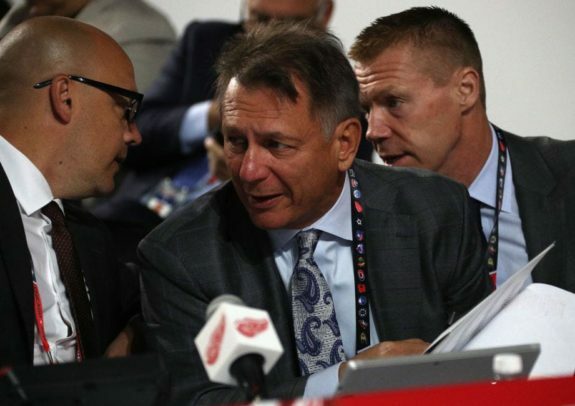 There may be opportunities to cut corners or make moves that will boost the short-term and obstruct long-term goals but Ken Holland should stick to his guns. A sustainable, forward-thinking rebuild will take time, but it will give the Red Wings the best chance at another Stanley Cup. To be successful, Holland will need to move out rental players for prospects and picks, even if the Red Wings are clinging to playoff hopes. At the very least, Vanek, Gustav Nyquist, and a defenseman should be shopped to open up roster spots for the organization’s most deserving prospects. After the season is over, the team should look at how many of these goals were achieved. Three out of five? Four out of five? One hundred percent? If the team hits on four or more then their season should be deemed successful. Three would be tolerable. Two or less should be considered a failure. Seems aggressive? When rebuilding a team, attention to detail and sticking to a plan are critical, even if it’s a simple one. The Red Wings should do everything they can to rebuild properly for sustainable Stanley Cup contention in the future. Achieving these internal goals will help with that. Do you agree with these Detroit Red Wings goal? Comment below.